The process of government formation in Timor-Leste seems to be coming to an end. Nearly three weeks after the parliamentary election, a usually reliable Timor news blog is reporting that the new government will be a three-party coalition. It will comprise the largest party in the 65-seat parliament, the CNRT, which supported the election of President Taur Matan Ruak and which has 30 seats, the Democratic Party, which has 8 seats and Frenti-Mudança, which has two seats. This will leave FRETILIN as the only opposition group in parliament. In this event, the incumbent prime minister (and former president), Xanana Gusmão, will be returned as prime minister. There had been talk of a government of national unity including FRETILIN. When this option seemed to be dismissed there was violence in the capital, Dili. This entry was posted in Timor-Leste on 26 July, 2012 by Robert Elgie. In April 2012 José Maria Vasconcelos (Taur Matan Ruak) was elected as president of East Timor. He was an independent, but he was supported by the Conselho Nacional de Reconstrução de Timor, CNRT (National Congress for Timorese Reconstruction). The CNRT was the part of the incumbent prime minister (and president from 2002-2007), Xanana Gusmão. Parliamentary elections were held at the weakend. In theory, they were ‘honeymoon’ elections. So, there was a sort of honeymoon. However, the CNRT has not won an absolute majority, which is 33 of the 65 seats. Therefore, there will have to be a coalition. While a coalition between the CNRT, the Partido Democrático and perhaps the Frenti-Mudança as well would generate a majority, there is talk of a national government comprising the CNRT and FRETILIN. This entry was posted in Timor-Leste on 10 July, 2012 by Robert Elgie. It’s Timor-Leste week here. The second round of voting at the presidential election there was held on Monday. The major challenge for the new president, who is also known as Jose Maria de Vasconcelos, is to win a supportive majority in the July legislative elections. This entry was posted in Timor-Leste on 18 April, 2012 by Robert Elgie. The East Timor Law and Justice Bulletin is reporting that the outgoing president, José Ramos-Horta, has vetoed three bills. They all related to Land Law bills that had been passed by parliament. The report indicates that the vetoes were issued on 20 March. The first round of the presidential election, at which Ramos-Horta came third and was eliminated, was held on 17 March. There is more information about the vetoes here. This entry was posted in Timor-Leste on 17 April, 2012 by Robert Elgie. The big news from Timor-Leste is that incumbent president (and former prime minister), José Ramos-Horta, is reported to have conceded defeat following the first round of voting at the presidential election. On the basis of provisional results, he has come third behind Francisco “Lu Olo” Guterres of the FRETILIN party and General Taur Matan Ruak, who, according to timorhauniandoben, is supported by PM Xanana Gusmão’s CNRT party. With about 75% of the votes counted, Guterres has 28.5%, Matan Ruak 25.2% and Ramos-Horta 17.8%. When the final result is available, I will post again. This entry was posted in Timor-Leste on 20 March, 2012 by Robert Elgie. In a previous series of posts I recorded the cases of cohabitation in countries with semi-presidential constitutions. Cohabitation is defined as the situation where the president and prime minister are from different parties and where the president’s party is not represented in the cabinet. One potential problem with this definition is that non-party presidents cannot generate any periods of cohabitation. The problem is that some nominally non-partisan presidents may actually be de facto partisans. If this is the case, then the cases of cohabitation may be underestimated. This new series of posts discusses ‘difficult’ cases of cohabitation, meaning the situation where nominally non-partisan presidents are de facto partisans and where there are no other supporters of the president in the government. For the record, I take party affiliation from worldstatesmen.org. To the best of my knowledge, there is no systematic error in the recording of non-partisanship there. Moreover, there is nothing in their recording of non-partisanship that allows a rule to be applied to these cases in order to identify ‘difficult’ cases of cohabitation. As a result, the determination of such cases has to be made on a case-by-case basis. The first case is East Timor (Timor-Leste) and thanks to Ben Reilly for flagging this one. In August 2001, FRETILIN won 55 of the 88 seats in the first East Timorese parliamentary election. In April 2002, Xanana Gusmão was elected as the first president of East Timor. Gusmão ran as an independent. Hence, he is classed as non-partisan. However, while his presidency was endorsed by a number of small parties, he was not supported by FRETILIN. Indeed, he had left FRETILIN in the 1980s. Moreover, in 2007 he formed a party, the National Congress for Timorese Reconstruction (Conselho Nacional de Reconstrução do Timor, CNRT) that competed against FRETILIN. Therefore, there are grounds for thinking of Gusmão as a de facto partisan. In May 2002 the first constitutional government was formed with Mari Alkatiri of FRETILIN as prime minister. FRETILIN was the only party represented in the government. This government lasted until July 2006. If Gusmão is considered to be a de facto partisan and there was a FRETILIN government, then this might be a case of cohabitation. Indeed, Dennis Shoesmith (in Robert Elgie and Sophia Moestrup eds., Semi-presidentialism Outside Europe, 2007, p. 227) refers to a period of “conflictual cohabitation” during this time. There is, though, a small fly in the ointment. From 2002-2006, there was at least one nominally non-partisan minister in the government, José Manuel Ramos-Horta. There is reason to believe that Gusmão and Ramos-Horta were allies of a sort. Ramos-Horta had also left FRETILIN, though in 1998. In 2006, he was appointed as prime minister of the second constitutional government by President Gusmão. In May 2007, Ramos-Horta was elected as president against the official FRETILIN candidate, though worldstatesmen.org records him as a non-party president. In August 2007 President Ramos-Horta appointed Gusmão as prime minister. If Ramos-Horta and Gusmão were allies, then the first constitutional government was not a period of cohabitation. So, what should we conclude? Well, there are some grounds to identify the period from 2002-2006 as a period of de facto cohabitation. The case that Gusmão was a de facto partisan is quite strong. The case that Ramos-Horta was a de facto partisan and from the same party as Gusmão is less strong. If Gusmão was a de facto partisan and Ramos-Horta was non-partisan or a de facto partisan from a different party to Gusmão, then there was a period of de facto cohabitation. As with any ‘difficult’ case of cohabitation, no definitive conclusion can be drawn. Indeed, this is why I believe it is better to define cohabitation systematically and in a way that allows periods of cohabitation to be identified reliably. However, this is definitely a difficult case. This entry was posted in Difficult cases of cohabitation, Timor-Leste on 17 June, 2011 by Robert Elgie. The International Crisis Group has issued an interesting and useful report on East Timor. It provides an overview of events in the year since the assassination attempt on President Jose Ramos-Horta. (See post here). Basically, the report concludes that the situation has stabilised and that the country has fared much better than might have been expected this time last year. However, the roots of the crisis have yet to be properly addressed. Therefore, more reforms are needed. The report is available here. This entry was posted in Timor-Leste on 16 February, 2009 by Robert Elgie. President Jose Ramos-Horta has returned to Timor-Leste (East Timor) and has recommended official duties. He officiated at Independence Day celebrations on 20 May and he has spoken for the first time about the attempt on his life in February. On February 11 there were separate attacks on both the president and the prime minister. Prime Minister Jose Alexandre Gusmão escaped unharmed, but President Ramos-Horta was shot and seriously wounded. He was taken to Australia for treatment. The leader of the attack, Alfredo Reinado, was killed. According to newspaper reports, President Ramos-Horta has spoken about the attack for the first time. He told AFP: “I believe that Mr Alfredo Reinado was actually led to believe by certain people that killing me and Xanana would give him power and make him the strongman of the country”. He also said: “You know the guy shot me with a high-powered rifle at close range. Surely he wasn’t planning to tickle me, so he intended to kill me”. Last month, most of the remaining people in the rebel group surrendered their arms. While in some senses the country is more stable after the attack, political tensions remain very high. For example, newspaper reports indicate that at the independence ceremony President Ramos-Horta refused to shake the hand of the opposition leader and ex-prime minister, Mari Alkatiri, of the Fretilin party. At the 2007 presidential election the Fretilin candidate won more votes than Mr Ramos-Horta at the first ballot, though Ramos-Horta was decisively elected at the second. More importantly, at the subsequent legislative elections Fretilin emerged as the largest party in the legislature, but an anti-Fretilin majority was constructed. Even though President Ramos-Horta ran as a non-party candidate, he is associated with the Congresso Nacional de Recontrucão de Timor-Leste (CNRT). Prime Minister Gusmão represents the CNRT, even though he too was officially non-partisan when he held the presidency prior to 2007. Both were originally associated with Fretilin, which was the main force behind the campaign for independence from Indonesia prior to 2002. Fretilin felt that it should have the option to try to form a government before CNRT. The situation led to rioting and tensions are ongoing. This entry was posted in Timor-Leste on 27 May, 2008 by Robert Elgie. There was an attempted coup in Timor-Leste (East Timor) yesterday. President Jose Ramos-Horta was shot and seriously wounded. Prime Minister Jose Alexandre Gusmao was also attacked in a separate incident, but managed to escape unharmed. Timor-Leste has been independent since 2002. Gusmao served as President from 2002-2007, while Ramos-Horta was Prime Minister from 2006-2007 before being elected President. On the basis of the constitution, the prime minister has more powers than the president. Using Shugart and Carey’s categorisation, Timor-Leste has a premier-presidential form of semi-presidentialism. The country has been classed as Partly Free by Freedom House for the period since independence with an aggregate score of 3 until 2007, when the score fell to 3.5. It has also been classed as an Electoral Democracy since 2002 by Freedom House. Polity have given a score of 6 to Timor-Leste from 2002-2004 inclusive. This corresponds to the upper range of the anocracy category i.e., a country that has many characteristics of a democracy but that remains fairly unstable. 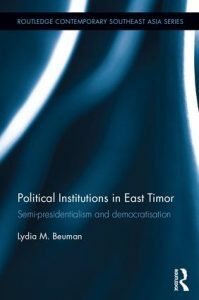 There are a couple of useful articles specifically on semi-presidentialism in Timor-Leste. While modesty almost forbids, it doesn’t quite manage it, so I would recommend the chapter by Dennis Shoesmith in Robert Elgie and Sophia Moestrup (eds,), Semi-presidentialism Outside Europe, London: Routledge, 2007. 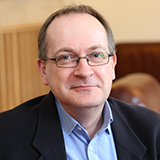 Denis Shoesmith also has another article in Asian Survey, vol. 43, no. 2, 2003, pp. 231-252. In addition, background information on the constitution can found in the article by Hillary Charlesworth in International Journal of Constitutional Law, vol. 1, no. 2, 2003, pp. 325-344. There is an article on the 2006 crisis, which was a precursor to yesterday’s coup attempt. This is by James Cotton in Australian Journal of International Affairs, vol. 61, no. 4, pp. 455-470. There are also a couple of articles on the first elections in the country. These are by Anthony L. Smith in Journal of Democracy, vol. 15, no. 2, 2004, pp. 145-159, and by Dwight Y. King in Asian Survey, vol. 43, no. 5, 2003, pp. 745-757. This entry was posted in Timor-Leste on 12 February, 2008 by Robert Elgie.